Windows may not be necessary. Creative Commons image of HMS Victory courtesy of Karen Roe. Norway fertilizer company, Yara, commissioned a US$30 million autonomous and electric container vessel, the company announced earlier this month. The Yara Birkeland will be built by VARD, a ship builder. Sensors and software will be the responsibility of the technology company KONGSBERG. The ship is expected to launch in early 2020. Autonomy will occur gradually. The ship will transition from manned operation to full autonomy by 2022. About half the cost of the ship will be paid for by the Norwegian government through its ENOVA fund. The Yara Birkeland is a smaller vessel. The project was initiated in an effort to improve the logistics at Yara's Porsgrunn fertilizer plant. Yara says more than 100 diesel truck journeys are needed to transport products from Yara's Porsgrunn plant to ports in Brevik and Larvik where the company ships products to customers around the world. Moving transport from road to sea will reduce noise, dust, road traffic and CO2 emissions. VARD says the ship is the world's first. "We are honored to be chosen as Yara's partner in this innovative and exciting project. With a longstanding experience in building state-of-the-art and tailor-made specialized vessels, we are excited to be given the opportunity to build the world's first autonomous and electric-driven container vessel. It is a pleasure to welcome Yara and Kongsberg to VARD, and we look forward to working closely with all parties involved," says Roy Reite, CEO and Executive Director of VARD. BHP Billiton is studying automated cargo ships for its own operations. Crewless ships could deliver the world's biggest miner savings estimated in the billions. 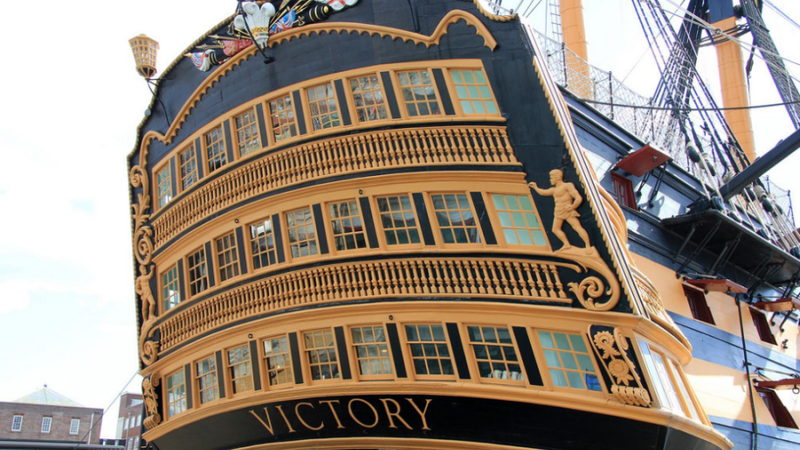 Creative Commons image of HMS Victory courtesy of Karen Roe.